Recently add not showing new audio file when I download new song or audio file. always appear 'doesn't look anything to me'. How to solve this problem ? Do the new files appear in the library at all, just not in the Recently Added list? There should be something in there anyway though, have you tried doing a Full Rescan? Yes new files appear in my library. 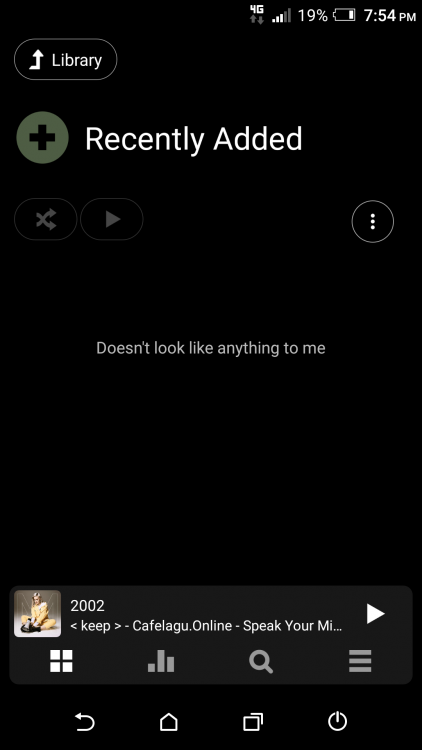 Just Recently add not showing new files. I have try full rescan. Still the same not working. Scan date. I try uninstall and install again still the same not work. Not just my device. But 3 different devices that i use are the same as the problem. Htc one m8/ Huawei Nova 2i/ Xioami mi A1. Both of the date-ordering systems work fine for me in Recently Added > date added sorting. 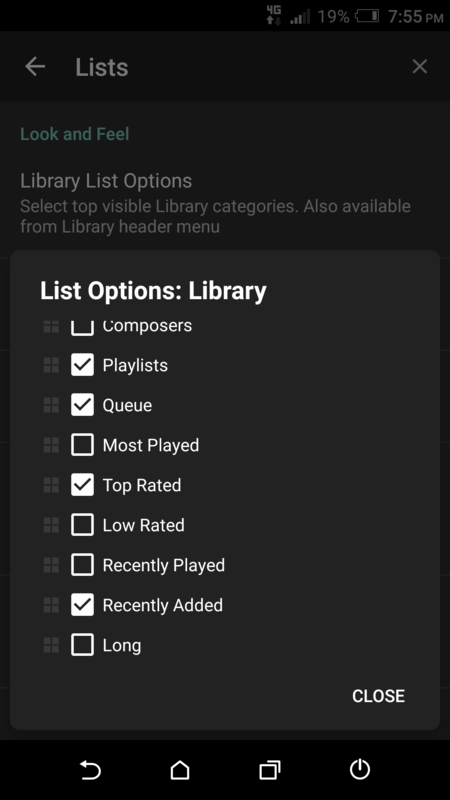 What happens if you try the All Songs category view, and sort that by date added ? All song category work fine if I sort that by date added. Just Recently add category still has nothing new add file. I tried recently added by Album and it just lists all the albums on my phone, not by when they were added. 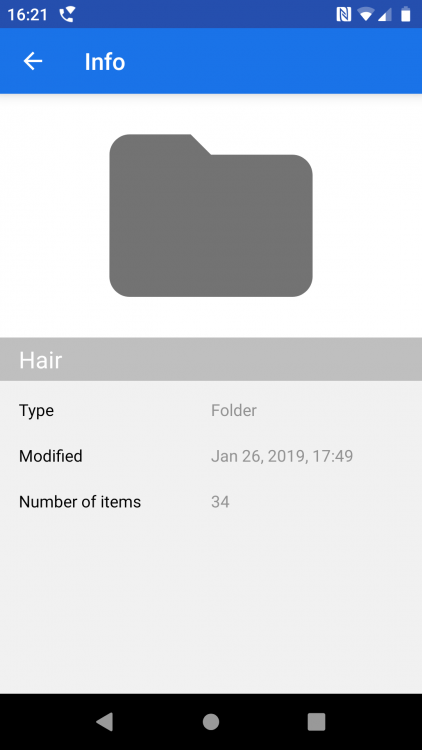 Moto x4 - Android Pie - PA 823 - music on SD card and verified that dates on folders and files are correct. Check Settings > Library > Lists > Sort by Filesystem Time/Date. Sort by file system Date/Time is enabled. If I list it a 2nd time in a row it comes closer, however there are still things out of order. Perhaps a "By Folder" option would be "the bees knees". 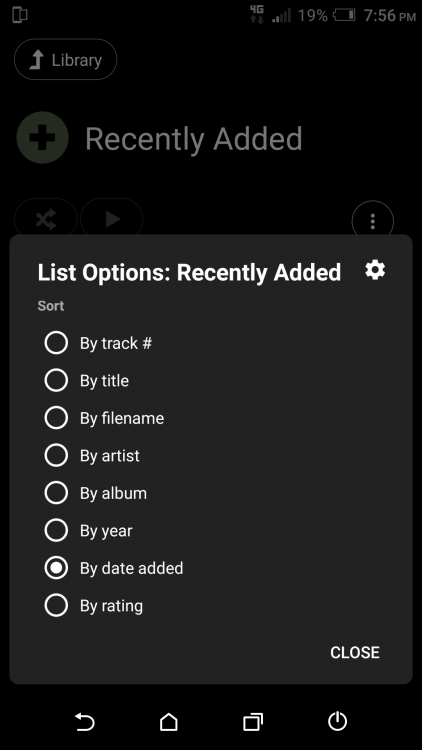 Don't forget only files have save time/date stamps in this context, albums or artists do not so any group-level date would be generated from one of the contained items. That's why I said "By folder" would be "The bees knees". Folders do have last modified dates in their entries. Here's a screen shot of the folder entry for the soundtrack "Hair" which is a recently added folder and I think PA know all about folders in a couple of different contexts.